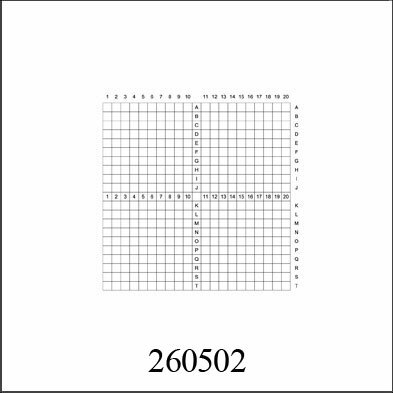 Small Square Glass Coverslips are manufactured from optical quality borosilicate (Schott D 236 M glass) to the highest standards and are optically clean and ready for use. Schott D 236 M glass is Water White glass with very low iron content. Its glass composition assures an excellent resistance to chemical attack. The Schott D 263 M glass is used as cover coverslips in microscopy for medical, biological and research work. The excellent UV absorption properties make this glass an ideal material for use in fluorescence microscopy. Excellent internal glass quality with very low levels of inclusions, striations, streaks, and bubbles. Refractive index finely tuned for microscopes. Most microscope objectives are corrected for a coverglass thickness of 0.17mm, corresponding to #1.5 coverglasses. 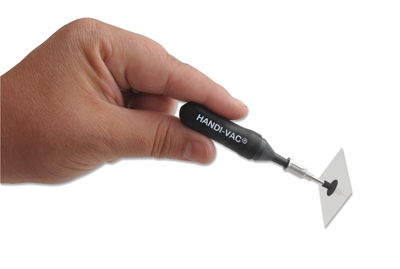 Cleaned, cut, sorted and made of especially processed borosilicate glass (Type D263M). Not sterile. Made from clear, high transmissive boro silicate glass. Cleaned, cut and packed in either 1 oz., 1/4 oz. or pkg/100. Available in various popular sizes ranging from Ø10 to Ø22mm. Not sterile. 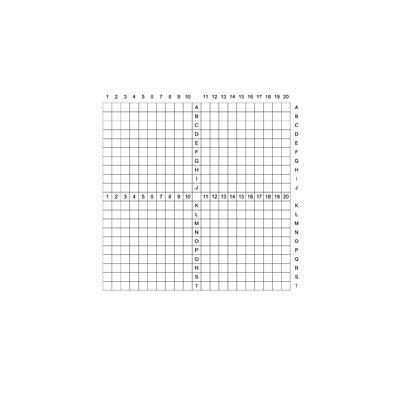 See Table for pieces/ounce. All Gold Seal® Glass Coverslips are made from pre-selected, pre-cleaned silicate glass. They are packaged with desiccants in lint-free boxes. 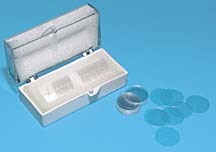 Quartz microscope slides and cover slips are a necessity for microscopy applications where UV transparency is needed. They can also be used for high end microscopy applications to reduce signal los due to absorption. Other application can involve UV radiation transparency. The quartz slides can also be used for high temperature applications up to 1250°C (2282°F). Above this temperature the material will start to soften. 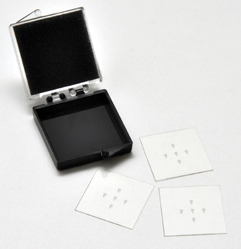 The Quartz material used to manufacturer our high quality quartz microscope slides and cover slips is the GE 124 type high purity fused quartz, a well documented quartz used over decades in microscopy applications. Technical information about GE 124 Quartz. Transparency is provided for 0.19 to 4.2um with very low absorbance in the 0.26 to 2.6um range. 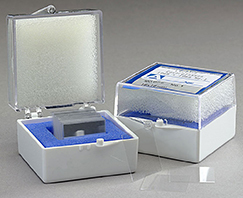 Quartz coverslips are available in several sizes and thicknesses, although for most microscopy applications the 0.25mm thickness is adequate. Not	sterile. Thermanox or TMX coverslips are made of a polymer, in the polyolefin family, that is highly resistant to most chemicals. They are resistant to alcohols, aldehydes, hydrocarbons, dilute acids (<10%) and dilute alkalis (<2%). Thermanox has limited resistance to chlorinated hydrocarbons and it is not resistant to concentrated acids or bases. It is a flexible transparent polymer that can be easily sectioned by using a microtome and is able to withstand low and high temperatures (-70°C to + 150°C). Thermanox Coverslips are culture treated on one side for enhanced cell attachment and growth. See tech notes. 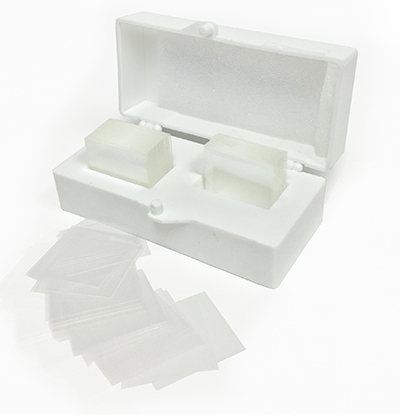 Thermanox coverslips are packed sterile, the treated side is packaged face up toward the label. Cells grown on these coverslips can be embedded while remaining on the coverslip in a plastic resin without removal for sectioning. The Thermanox coverslips autofluoresce in the range 380 - 545nm. They autofluoresce at the Rhodamine and FITC range: Fluorescein isothiocynate, excitation 494nm; emission 517nm. Thermanox coverslips can be autoclaved at 20 minutes steam, 20 minutes dry, at 120°C. NEW! Now available in 18mm round size. Correlative Microscopy Coverslips® are polyester based reticle films designed to bring together multiple disciplines of microscopic analysis using singular tissue culture sources. In this way, laboratories and research facilities can save time and money in their research endeavors. 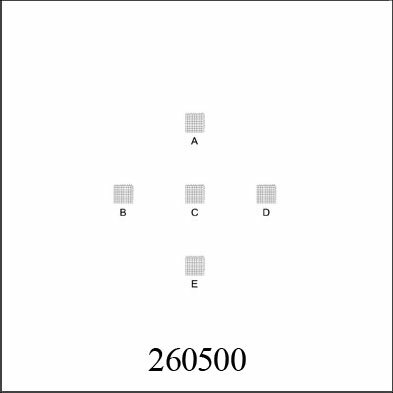 The Correlative Microscopy Coverslips® are available in three patterns for different application requirements. All are 22 x 22mm coverslips with a 0.18mm thickness. 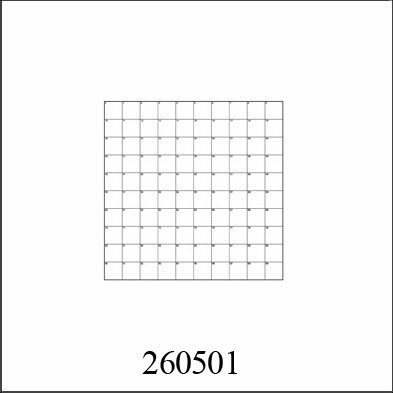 The 10 x 10 grid of 1mm squares and the 20 x 20 grid of 0.5mm squares are now available on 18mm diameter round coverslips with 0.18mm thickness. These coverslips allow the application of multiple microscopies (light, fluorescence, scanning electron microscopy - SEM, and transmission electron microscopy - TEM) originating from a specific position on a single coverslip.